Need a solution for sand problems? 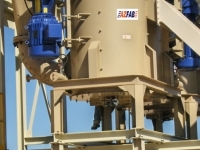 The AZFAB Vertical Durability Cell is the most powerful product of its kind on the market. It provides the scrubbing power necessary to liberate clays, felspars, and other contaminants through attrition. Our Durability Cell can add years of life to reserves and help you make specification sand from marginal deposits. 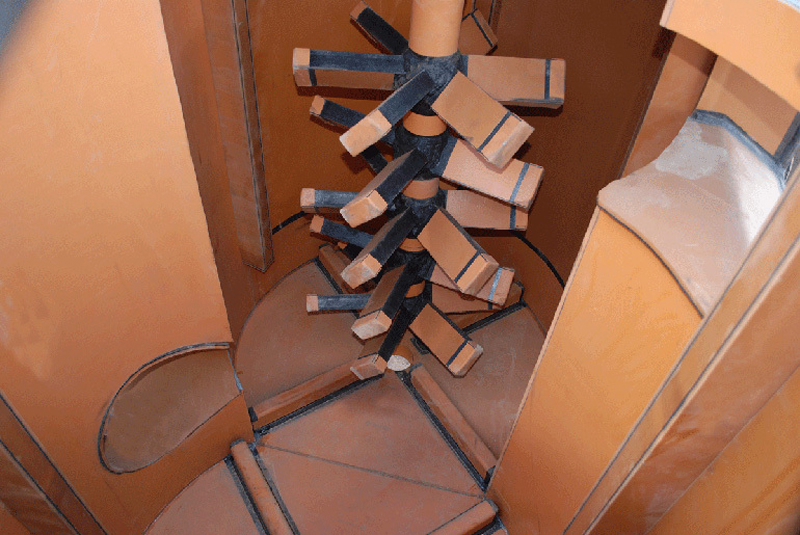 Moisture is retained when clays are allowed to remain in the finished product, causing stockpiles to degrade. 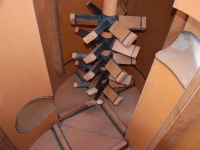 In addition, these remnant clays will eventually dislodge themselves and lower sand equivalent and durability index tests. 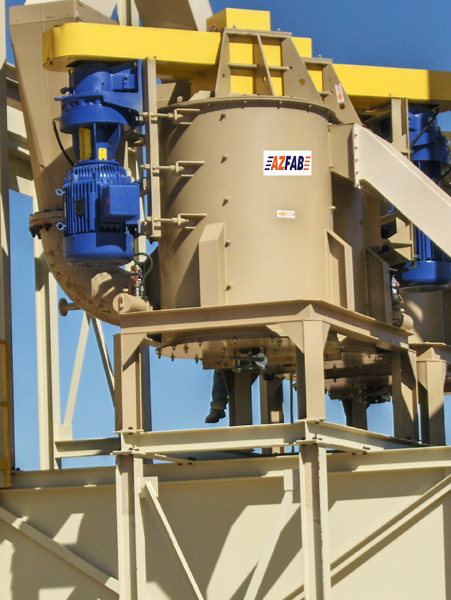 The AZFAB Durability Cell frees deleterious residual clay and turns your sand into dollars. A bottom feed design insures maximum attrition. Since all wear points are lined with ½ inch 40 durometer natural rubber each Cell is built for a trouble free operating life. © 2019 AZFAB Acquisition Company, LLC, All Rights Reserved.